In biomedicine, discoveries arising from novel enabling technologies and reagents have garnered a quarter of the Nobel Prizes for chemistry and medicine in this century. Among the myriad of these transformative techniques and reagents, bibliometric evidence shows that pharmacological modulators (chemical and biological probes) have both the greatest scientific citation impact, the greatest sway on exploratory biomedical research, and provide the best mechanism to understand the relevance of a protein as a potential drug target. Indeed, the field of drug discovery and the development of new molecular entities are predicated on the availability of sound mechanistic principles. Unfortunately, our understanding of human disease remains inadequate, and as a result clinical success rates for novel mechanisms remain low. Currently only one out of ten clinical drug candidates reaches the Open Access Chemogenomics Library and Chemical Probes for the Druggable Genome market after an average of 10 years and at a cost of at least EUR 2 billion in R&D expenses per drug. Find out more in the full version of the Call 17 topic text. develop a communication plan to facilitate the dissemination of the compound sets and to ensure their appropriate use. 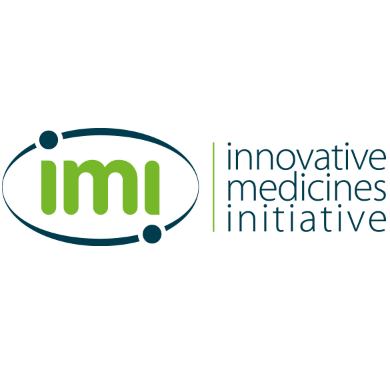 This project will provide the wider academic community with unencumbered access to the highest quality tool compounds for a large number of novel targets, and the expected impact should therefore be transformative. Presently, many companies and organisations are already in the process of setting up their own chemogenomics libraries. Although these have the potential to be phenomenal resources for the companies, their utility is also limited: they are not widely available to academia, they are likely to overlap, and each compound set is not as deeply characterised as could be managed within a larger, more focused, more resourced and more transparent project. By making a high-quality, broader compound set available, the consortium will seed a massive community target prioritisation and target deconvolution effort. Moreover, in providing chemical tools without restriction, the consortium will also make available tools to invent new assays and unencumbered starting points for probe development or drug discovery. The consortium’s centralised, cell-based and biochemical assay panels will serve as a resource for the entire chemical biology community. The ability to access these capabilities will provide significant incentives for external scientists to contribute innovative compounds to the network, thus expanding the impact with donated resources. The cell and tissue platform with the high-quality, patient-derived cell assays will provide the opportunity for clinical scientists to undertake translational medical research and biomarker discovery, and will provide the roadmap for other clinical centers to access the libraries and make important translatable discoveries.